Join us on Thursday, May 9, 2019 for an Art Sale & Open House at DermEffects! We are offering a special discount on BOTOX® Cosmetic at the Open House in honor of BOTOX’s recent milestone! Buy 50 units of BOTOX, get 10 units free (savings of $100)! 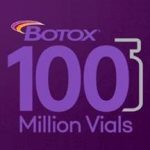 BOTOX® Cosmetic has manufactured 100 million vials of their product! 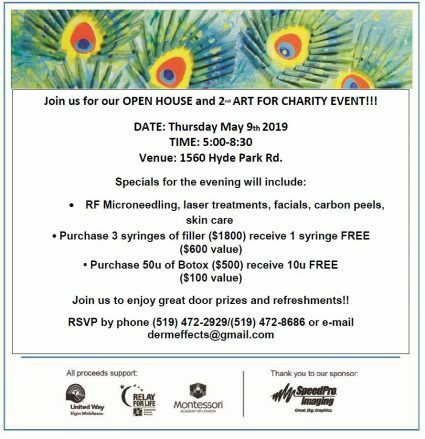 In celebration of this milestone, we’re offering a special discount on BOTOX for our patients who attend the annual DermEffects Open House and Art Sale on Thursday, May 9, 2019. 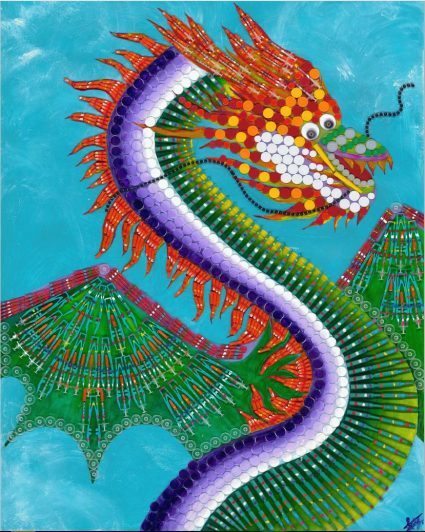 Dragon – original artwork by Dr. Wei Jing Loo Mixed media, paint on punch biopsies, needles, syringe caps and lids from anesthetic bottles. 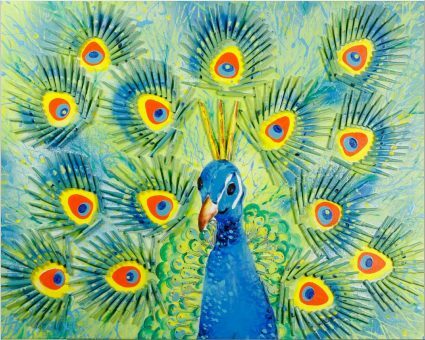 Dr. Loo’s artwork will be for sale at the Open House and Art Show. 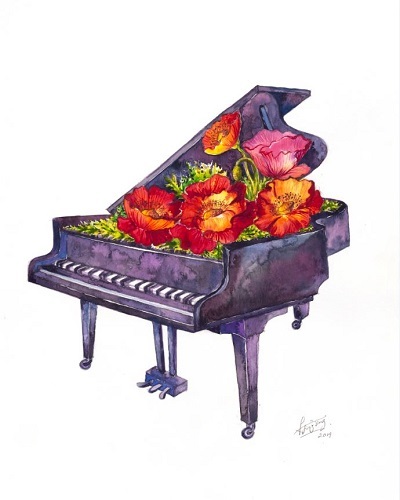 Floral Music 1 – original artwork by Dr. Wei Jing Loo Watercolor Dr. Loo’s artwork will be for sale at the Open House and Art Show. 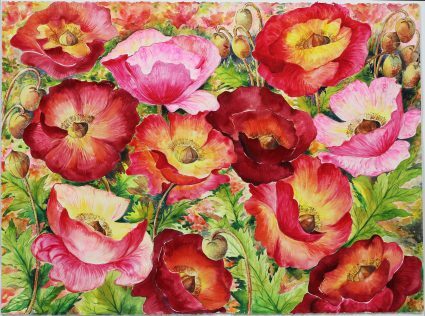 In Flanders Field – original artwork by Dr. Wei Jing Loo Watercolor Dr. Loo’s artwork will be for sale at the Open House and Art Show. Peacock – original artwork by Dr. Wei Jing Loo Mixed media, paint on punch biopsies, needles, syringe caps, lids from anesthetic bottles and keys. Dr. Loo’s artwork will be for sale at the Open House and Art Show. 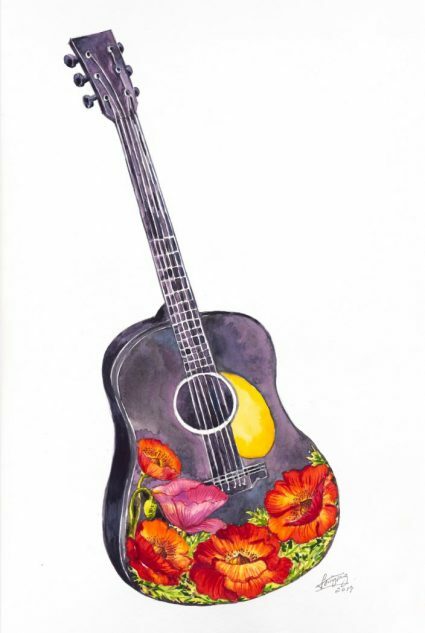 Floral Music 2 – original artwork by Dr. Wei Jing Loo Watercolor Dr. Loo’s artwork will be for sale at the Open House and Art Show. 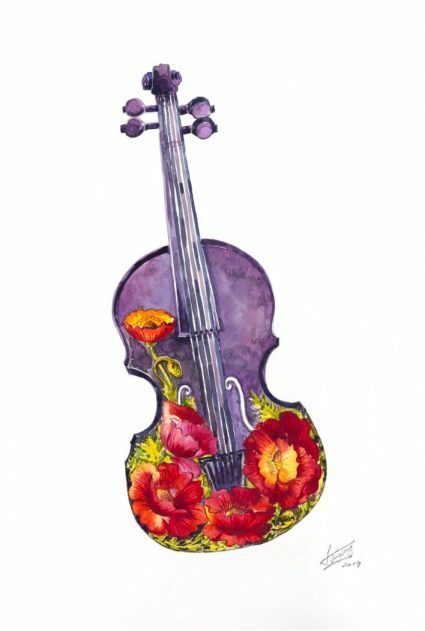 Floral Music 3 – original artwork by Dr. Wei Jing Loo Watercolor Dr. Loo’s artwork will be for sale at the Open House and Art Show.